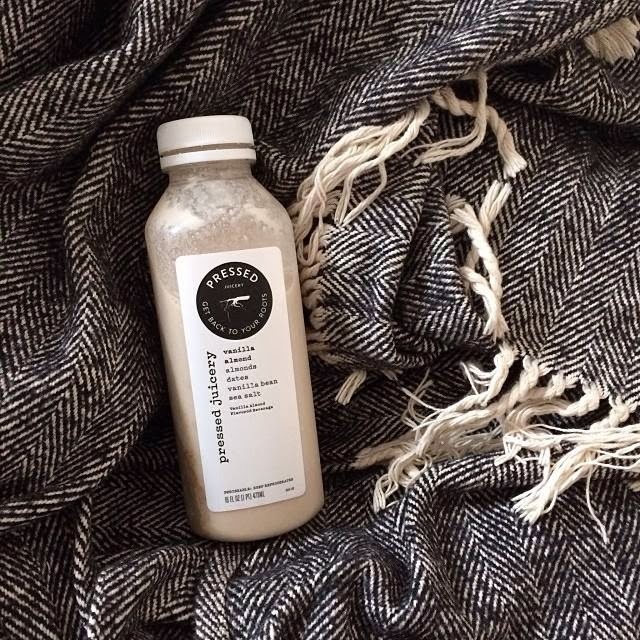 If you follow my instagram, you would know I did the Pressed Juicery 5 day cleanse around Christmas time! I’m finally getting around to sharing my experience. Day one was the hardest. I was hungry but it was more like I just wanted to chew on something. My favorite juices are featured in the close up images I posted on my instagram! The cucumber pineapple one is super refreshing and the vanilla almond one was the best at the end of the day. Super filling and creamy. Days 3, 4, and 5 were the easiest days for me because I was used to the routine and my body had adjusted to the liquid diet. I also noticed my tummy was flatter on day 3 because of the water weight I dropped from not having my usual dose of sodium. So that was an added plus! I would definitely do the cleanse again. My experience was great and I felt really good and clean afterwards. It forced me to have healthy habits after as well. You can’t shock your body by eating a steak right after so I had vegetable soups and lots of salads for the following week. If I wasn’t addicted to ramen, I would’ve been sodium free for the following weeks as well! I took it easy when I was cleansing. I went on a couple walks and did some stretching in the mornings but I tried to conserve my energy as much as possible. And I took a ton of baths. I had an excuse to! If you’re planning on doing the cleanse, prep your body for it by eating lots of veggies and cutting back on meat and dairy. I have a feeling the first couple days were hard for me because I didn’t really prepare for it! So thats my advice and my experience! Leave your questions in the comments below and I’d be happy to answer any you have! 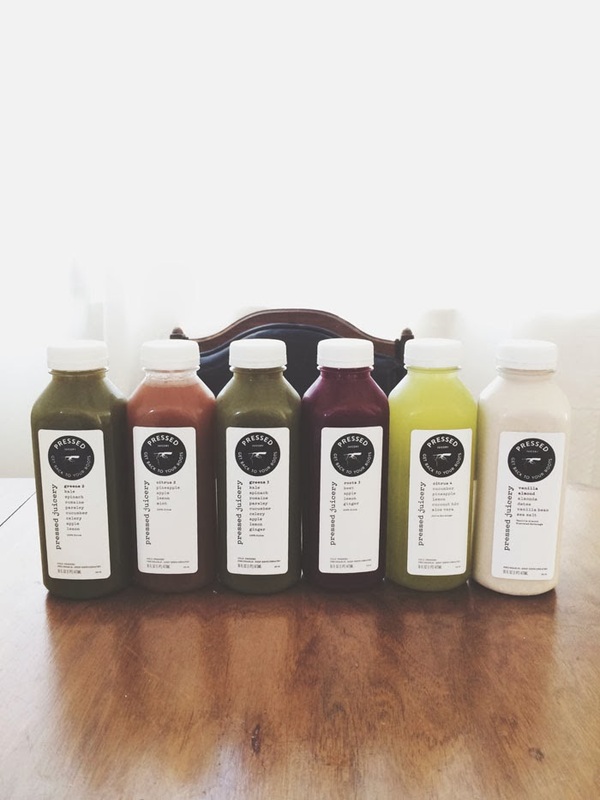 I did a 3-day juice cleanse last week & am so happy it is over! I do notice great changes in my body, though. If I get the courage to do another one soon, I’ll definitely focus more on easing in and out of the juice-only diet. It’ll be easier if B does it with me too – that way I won’t have to smell her dinner every night! I don’t think I could do this. I want to try this! How often will you do it? They look really good ! 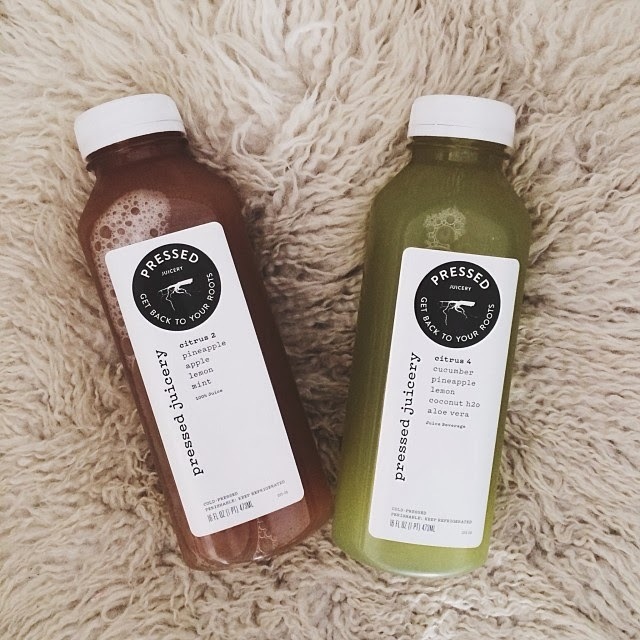 I would really like to try a cleanse once.. seems so healthy! Ahhh really good advice for a juice cleanse. Makes sense to prep before hand. I can’t ever give up Pho so I’ll forever have water weight lol. I wanted to put you this very little remark to finally thank you very much over again just for the awesome solutions you have documented on this page. It’s really wonderfully generous of you to present publicly just what many of us could have offered as an ebook to get some profit on their own, especially seeing that you might well have tried it if you considered necessary. These tricks likewise acted to provide a good way to be certain that most people have the identical passion just as my own to realize somewhat more with respect to this condition. Certainly there are numerous more pleasurable opportunities up front for those who looked at your site. I simply want to say I am new to blogging and seriously loved you’re website. Likely I’m likely to bookmark your website . You really have outstanding posts. Regards for sharing your webpage. Whoever the heart loves she is the beauty. I just want to say I’m very new to blogging and really loved this web site. Most likely I’m planning to bookmark your blog post . You absolutely have remarkable stories. Thanks a lot for sharing with us your web site. The loveliest faces are to be seen by moonlight when one sees half with the eye and half with the fancy. A formidable share, I simply given this onto a colleague who was doing slightly evaluation on this. And he in truth bought me breakfast because I discovered it for him.. smile. So let me reword that: Thnx for the deal with! But yeah Thnkx for spending the time to discuss this, I really feel strongly about it and love reading extra on this topic. If attainable, as you turn out to be expertise, would you mind updating your weblog with extra particulars? It is extremely helpful for me. Massive thumb up for this blog submit! Nigdy stanowicie w kształcie przewidzieć stopnia obciążenia instynktu i zagwarantować sobie znaczeń stojących. whoah this blog is wonderful i love reading your articles. Stay up the good work! You understand, lots of people are searching round for this info, you could aid them greatly. Hey I am so happy I found your webpage, I really found you by mistake, while I was searching on Aol for something else, Anyhow I am here now and would just like to say many thanks for a remarkable post and a all round enjoyable blog (I also love the theme/design), I don’t have time to look over it all at the minute but I have saved it and also included your RSS feeds, so when I have time I will be back to read a great deal more, Please do keep up the excellent work. Greetings from Colorado! I’m bored at work so I decided to check out your site on my iphone during lunch break. I really like the knowledge you provide here and can’t wait to take a look when I get home. I’m amazed at how fast your blog loaded on my mobile .. I’m not even using WIFI, just 3G .. Anyhow, awesome blog! Excellent post. I was checking constantly this blog and I’m impressed! Extremely useful information specifically the last part :) I care for such information a lot. I was seeking this particular information for a long time. Thank you and best of luck. I additionally believe that mesothelioma is a rare form of cancer that is usually found in individuals previously familiar with asbestos. Cancerous cellular material form inside the mesothelium, which is a shielding lining which covers the vast majority of body’s areas. These cells ordinarily form inside the lining on the lungs, abdominal area, or the sac which actually encircles one’s heart. Thanks for giving your ideas. Today, taking into consideration the fast lifestyle that everyone leads, credit cards get this amazing demand throughout the market. Persons out of every field are using the credit card and people who are not using the card have made arrangements to apply for one. Thanks for giving your ideas in credit cards. Today, with all the fast life style that everyone is having, credit cards have a big demand throughout the economy. Persons throughout every area are using the credit card and people who aren’t using the credit card have lined up to apply for one in particular. Thanks for giving your ideas about credit cards. Today, with the fast life-style that everyone leads, credit cards have a huge demand throughout the market. Persons from every area of life are using the credit card and people who not using the credit card have made up their minds to apply for one in particular. Thanks for expressing your ideas in credit cards. I wish to express appreciation to the writer for bailing me out of this type of situation. After researching through the the web and coming across proposals which are not powerful, I was thinking my entire life was over. 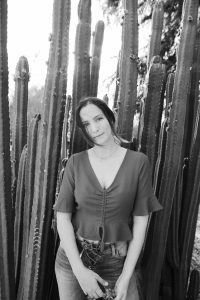 Living devoid of the answers to the problems you’ve sorted out as a result of your entire article content is a critical case, and those which might have in a wrong way damaged my career if I had not encountered your blog. That capability and kindness in taking care of all the things was vital. I am not sure what I would have done if I hadn’t encountered such a stuff like this. It’s possible to at this point look forward to my future. Thanks very much for this skilled and result oriented guide. I won’t hesitate to propose the blog to anyone who needs direction about this subject matter. Appreciating the commitment you put into your site and detailed information you present. It’s good to come across a blog every once in a while that isn’t the same old rehashed information. Wonderful read! I’ve bookmarked your site and I’m including your RSS feeds to my Google account. Today, with the fast lifestyle that everyone is having, credit cards get this amazing demand in the economy. Persons out of every area are using the credit card and people who are not using the credit card have prepared to apply for one in particular. Thanks for spreading your ideas in credit cards. Z priorytetem roślin na pogodny balkon nie winni brać dylematów, bowiem niesłychanie dużo modeli znakomicie każe sobie choćby w szczytowym ciepłu. Great blog! Do you have any helpful hints for aspiring writers? I’m planning to start my own site soon but I’m a little lost on everything. Would you advise starting with a free platform like WordPress or go for a paid option? There are so many options out there that I’m totally confused .. Any ideas? Thanks! Hiya! I simply wish to give an enormous thumbs up for the great data you may have here on this post. I will probably be coming back to your blog for extra soon. Howdy I am so grateful I found your webpage, I really found you by mistake, while I was looking on Digg for something else, Nonetheless I am here now and would just like to say thank you for a incredible post and a all round interesting blog (I also love the theme/design), I don’t have time to look over it all at the moment but I have saved it and also added in your RSS feeds, so when I have time I will be back to read a great deal more, Please do keep up the excellent job. This web site is mostly a walk-via for all the info you needed about this and didn’t know who to ask. Glimpse right here, and you’ll positively discover it. Do you mind if I quote a couple of your articles as long as I provide credit and sources back to your webpage? My website is in the exact same area of interest as yours and my visitors would really benefit from a lot of the information you present here. Please let me know if this ok with you. Thank you! We stumbled over here different website and thought I should check things out. I like what I see so now i’m following you. Look forward to exploring your web page for a second time. Hello! I just wanted to ask if you ever have any problems with hackers? My last blog (wordpress) was hacked and I ended up losing a few months of hard work due to no backup. Do you have any methods to stop hackers? With havin so much content and articles do you ever run into any problems of plagorism or copyright infringement? My blog has a lot of exclusive content I’ve either created myself or outsourced but it looks like a lot of it is popping it up all over the web without my permission. Do you know any solutions to help protect against content from being ripped off? I’d certainly appreciate it. I absolutely love your blog and find a lot of your post’s to be just what I’m looking for. Does one offer guest writers to write content for you? I wouldn’t mind composing a post or elaborating on some of the subjects you write concerning here. Again, awesome web site! Fantastic blog! Do you have any tips for aspiring writers? I’m hoping to start my own blog soon but I’m a little lost on everything. Would you suggest starting with a free platform like WordPress or go for a paid option? There are so many choices out there that I’m completely overwhelmed .. Any ideas? Thanks! I love what you guys tend to be up too. This kind of clever work and exposure! Keep up the wonderful works guys I’ve you guys to our blogroll. Thanks for a marvelous posting! I really enjoyed reading it, you will be a great author.I will ensure that I bookmark your blog and will eventually come back in the foreseeable future. I want to encourage that you continue your great posts, have a nice evening! Greetings from Carolina! I’m bored to death at work so I decided to browse your blog on my iphone during lunch break. I really like the info you present here and can’t wait to take a look when I get home. I’m shocked at how fast your blog loaded on my phone .. I’m not even using WIFI, just 3G .. Anyways, excellent site! Hey there terrific blog! Does running a blog similar to this require a great deal of work? I have very little knowledge of programming however I had been hoping to start my own blog in the near future. Anyway, should you have any suggestions or techniques for new blog owners please share. I know this is off subject nevertheless I simply had to ask. Appreciate it! Howdy! I know this is kinda off topic but I’d figured I’d ask. Would you be interested in exchanging links or maybe guest authoring a blog article or vice-versa? My website discusses a lot of the same topics as yours and I feel we could greatly benefit from each other. If you happen to be interested feel free to send me an e-mail. I look forward to hearing from you! Wonderful blog by the way! I am curious to find out what blog system you have been utilizing? I’m experiencing some small security problems with my latest blog and I’d like to find something more secure. Do you have any recommendations? Its like you read my mind! You seem to know so much approximately this, like you wrote the book in it or something. I feel that you just can do with some percent to force the message home a little bit, but instead of that, that is fantastic blog. A fantastic read. I will definitely be back. Simply wanna remark that you have a very decent web site , I enjoy the pattern it really stands out. I together with my guys were found to be looking at the best advice from the blog and then immediately came up with a terrible suspicion I had not expressed respect to the web blog owner for those secrets. The women are already joyful to see all of them and now have unquestionably been taking advantage of them. Thanks for genuinely so accommodating and for going for certain magnificent issues most people are really eager to be aware of. My very own honest apologies for not expressing gratitude to you earlier. It’s a shame you don’t have a donate button! I’d without a doubt donate to this fantastic blog! I suppose for now i’ll settle for book-marking and adding your RSS feed to my Google account. I look forward to brand new updates and will talk about this site with my Facebook group. Chat soon! Good day! This is my first visit to your blog! We are a team of volunteers and starting a new initiative in a community in the same niche. Your blog provided us useful information to work on. You have done a wonderful job! Hi there would you mind letting me know which web host you’re utilizing? I’ve loaded your blog in 3 completely different web browsers and I must say this blog loads a lot quicker then most. Can you recommend a good internet hosting provider at a reasonable price? Thanks a lot, I appreciate it! Hi! This post could not be written any better! Reading this post reminds me of my previous room mate! He always kept chatting about this. I will forward this post to him. Pretty sure he will have a good read. Many thanks for sharing! Howdy! I know this is kinda off topic however , I’d figured I’d ask. Would you be interested in trading links or maybe guest writing a blog post or vice-versa? My site discusses a lot of the same subjects as yours and I feel we could greatly benefit from each other. If you are interested feel free to send me an email. I look forward to hearing from you! Awesome blog by the way! My partner and I stumbled over here coming from a different website and thought I might as well check things out. I like what I see so now i am following you. Look forward to finding out about your web page repeatedly. Wprowadzanie reform nie może lokalizować się do utworu bądź usługi, musi i dotyczyć tegoż wzorze prowadzenia biurem. Have you ever thought about including a little bit more than just your articles? I mean, what you say is important and everything. However just imagine if you added some great photos or videos to give your posts more, “pop”! Your content is excellent but with images and video clips, this blog could certainly be one of the very best in its field. Wonderful blog! Hi! I just wanted to ask if you ever have any issues with hackers? My last blog (wordpress) was hacked and I ended up losing a few months of hard work due to no back up. Do you have any solutions to prevent hackers? But wanna remark on few general things, The website design and style is perfect, the written content is very fantastic : D.
Very good blog! Do you have any hints for aspiring writers? I’m planning to start my own website soon but I’m a little lost on everything. Would you recommend starting with a free platform like WordPress or go for a paid option? There are so many choices out there that I’m totally overwhelmed .. Any suggestions? Thank you! Outstanding post however , I was wondering if you could write a litte more on this subject? I’d be very thankful if you could elaborate a little bit more. Thank you! Valuable info. Lucky me I discovered your website by accident, and I am shocked why this twist of fate did not took place in advance! I bookmarked it. Hello there! This post could not be written any better! Reading this post reminds me of my previous room mate! He always kept chatting about this. I will forward this write-up to him. Fairly certain he will have a good read. Many thanks for sharing! Fantastic blog you have here but I was curious if you knew of any user discussion forums that cover the same topics discussed here? I’d really like to be a part of group where I can get feed-back from other knowledgeable individuals that share the same interest. If you have any suggestions, please let me know. Bless you! Thanks for the marvelous posting! I definitely enjoyed reading it, you’re a great author.I will be sure to bookmark your blog and will eventually come back later on. I want to encourage you continue your great posts, have a nice afternoon! Hello I am so grateful I found your blog, I really found you by mistake, while I was searching on Digg for something else, Anyhow I am here now and would just like to say many thanks for a fantastic post and a all round entertaining blog (I also love the theme/design), I don’t have time to read it all at the minute but I have book-marked it and also added your RSS feeds, so when I have time I will be back to read more, Please do keep up the excellent job. Hey! Quick question that’s entirely off topic. Do you know how to make your site mobile friendly? My weblog looks weird when viewing from my apple iphone. I’m trying to find a template or plugin that might be able to correct this problem. If you have any suggestions, please share. Cheers! Hello, i read your blog from time to time and i own a similar one and i was just wondering if you get a lot of spam feedback? If so how do you reduce it, any plugin or anything you can suggest? I get so much lately it’s driving me insane so any support is very much appreciated. Needed to post you that very little remark so as to thank you the moment again regarding the pretty information you have featured on this website. It’s certainly generous of people like you to convey without restraint exactly what most of us might have advertised as an e-book to generate some dough on their own, precisely seeing that you could possibly have done it if you desired. The basics in addition served to provide a great way to realize that some people have the identical dream just like my personal own to know the truth a great deal more concerning this matter. Certainly there are numerous more fun situations up front for individuals that check out your blog. Howdy! Someone in my Facebook group shared this site with us so I came to look it over. I’m definitely enjoying the information. I’m bookmarking and will be tweeting this to my followers! Wonderful blog and fantastic design. Howdy! I know this is kinda off topic however I’d figured I’d ask. Would you be interested in exchanging links or maybe guest writing a blog post or vice-versa? My blog covers a lot of the same subjects as yours and I feel we could greatly benefit from each other. If you are interested feel free to send me an e-mail. I look forward to hearing from you! Fantastic blog by the way! Hi superb website! Does running a blog similar to this require a massive amount work? I’ve no expertise in programming but I was hoping to start my own blog soon. Anyhow, should you have any recommendations or techniques for new blog owners please share. I understand this is off subject but I simply needed to ask. Thank you! Hey! This post couldn’t be written any better! Reading this post reminds me of my previous room mate! He always kept chatting about this. I will forward this page to him. Pretty sure he will have a good read. Thank you for sharing! I do like the way you have framed this specific situation and it does indeed provide me some fodder for thought. However, because of just what I have personally seen, I only wish when other feed-back pile on that folks remain on issue and not get started on a tirade of the news du jour. Anyway, thank you for this outstanding piece and while I can not necessarily go along with it in totality, I regard your standpoint. I just want to mention I am new to blogging and site-building and honestly enjoyed your web site. Probably I’m going to bookmark your website . You absolutely have impressive articles. Appreciate it for revealing your website page. What i do not realize is actually how you’re not really much more well-liked than you might be right now. You’re so intelligent. You realize therefore considerably relating to this subject, produced me personally consider it from so many varied angles. Its like men and women aren’t fascinated unless it’s one thing to do with Lady gaga! Your own stuffs outstanding. Always maintain it up! I am glad for writing to make you be aware of of the nice encounter my wife’s daughter found going through your blog. She realized a good number of issues, most notably what it’s like to possess an amazing helping spirit to get other people completely learn about certain extremely tough issues. You truly did more than her expected results. Many thanks for displaying such productive, safe, educational and in addition unique tips on this topic to Kate. I simply want to say I’m all new to weblog and honestly loved this web blog. More than likely I’m want to bookmark your site . You surely have good article content. Kudos for revealing your webpage. I simply want to tell you that I’m newbie to weblog and certainly enjoyed your web blog. Probably I’m going to bookmark your site . You actually come with amazing articles and reviews. Regards for revealing your blog site. I just want to say I am all new to blogs and definitely enjoyed this blog site. Probably I’m going to bookmark your website . You actually come with good writings. With thanks for sharing your webpage. I simply want to say I’m very new to weblog and definitely liked you’re web blog. Likely I’m going to bookmark your blog post . You certainly have incredible well written articles. Cheers for revealing your web site. I was more than happy to find this internet-site.I wanted to thanks for your time for this excellent read!! I definitely enjoying each little bit of it and I’ve you bookmarked to take a look at new stuff you weblog post. I simply want to say I am just all new to blogging and seriously enjoyed your website. Likely I’m planning to bookmark your site . You really have fabulous posts. Many thanks for revealing your website. I just want to mention I am beginner to weblog and actually enjoyed your web site. Likely I’m planning to bookmark your site . You really come with incredible articles. Thanks for revealing your web page. I just want to say I am just newbie to blogs and truly savored you’re web blog. Probably I’m planning to bookmark your website . You amazingly have incredible articles and reviews. Cheers for sharing your website. I simply want to mention I am just newbie to blogging and certainly enjoyed you’re web-site. Almost certainly I’m likely to bookmark your blog post . You absolutely come with fabulous writings. With thanks for sharing with us your website. I simply want to tell you that I am just newbie to blogs and honestly loved this website. Almost certainly I’m want to bookmark your blog . You surely have good articles. Thanks for sharing your web-site. I just want to mention I am newbie to blogging and certainly enjoyed this web page. Almost certainly I’m likely to bookmark your blog . You amazingly have tremendous stories. Thank you for revealing your webpage. I just want to say I am new to blogging and site-building and certainly enjoyed you’re website. Very likely I’m likely to bookmark your blog . You amazingly come with fantastic articles. With thanks for revealing your web site. I simply want to mention I am very new to blogging and certainly savored you’re web blog. Most likely I’m likely to bookmark your site . You definitely have exceptional writings. Regards for sharing with us your website. Everything is very open with a clear clarification of the challenges. It was really informative. Your website is very helpful. Thanks for sharing! Wonderful goods from you, man. I have understand your stuff previous to and you are just too excellent. I really like what you have acquired here, really like what you are stating and the way in which you say it. You make it entertaining and you still take care of to keep it wise. I cant wait to read much more from you. This is really a great site. You really make it seem really easy along with your presentation however I to find this topic to be actually something that I think I might never understand. It seems too complex and extremely wide for me. I am taking a look forward for your subsequent submit, I will try to get the hang of it! Very good write-up, IÂ¡Â¦m normal visitor of oneÂ¡Â¦s blog, sustain up the nice operate, and It’s going to be a regular visitor for a long time. I’m extremely pleased to uncover this great site. I need to to thank you for ones time due to this wonderful read!! I definitely savored every little bit of it and i also have you saved to fav to check out new information on your blog. You’ve made some good points there. I checked on the web for more info about the issue and found most people will go along with your views on this web site. Wonderful article! We will be linking to this particularly great article on our site. Keep up the good writing. An intriguing discussion is definitely worth comment. I do think that you ought to write more about this issue, it might not be a taboo subject but generally folks don’t talk about such topics. To the next! Kind regards!! Thanks a great deal for being our mentor on this niche. I enjoyed your current write-up really a lot and most of all cherished how you actually handled the aspect I considered to be controversial. You are always quite kind to readers considerably like me and let me in my everyday living. Thank you. Excellent blog you have got here.. It’s hard to find high quality writing like yours these days. I really appreciate individuals like you! Take care!! An outstanding share! I’ve just forwarded this onto a colleague who was conducting a little research on this. And he in fact bought me lunch simply because I found it for him… lol. So allow me to reword this…. Thanks for the meal!! But yeah, thanx for spending time to talk about this matter here on your web page. Having read this I thought it was rather enlightening. I appreciate you taking the time and effort to put this short article together. I once again find myself spending a significant amount of time both reading and posting comments. But so what, it was still worth it! I blog quite often and I seriously thank you for your information. The article has really peaked my interest. I will book mark your site and keep checking for new information about once a week. I subscribed to your Feed too. Iâ€™m impressed, I should say. Truly rarely must i encounter a weblog thatâ€™s both educative and entertaining, and let me let you know, you may have hit the nail for the head. Your notion is outstanding; the pain is something that not enough individuals are speaking intelligently about. My business is happy we discovered this at my seek out something regarding this. I totally comprehend everything you have stated. In fact, I browsed through your various other articles and I do think that you are undoubtedly correct. Greatest wishes with this particular site. Having read this I thought it was really enlightening. I appreciate you finding the time and effort to put this information together. I once again find myself spending a significant amount of time both reading and posting comments. But so what, it was still worthwhile! Everything is very open with a precise explanation of the challenges. It was definitely informative. Your site is very helpful. Thanks for sharing! Hello, i think that i saw you visited my site so i came to “return the favor”.I’m trying to find things to enhance my site!I suppose its ok to use some of your ideas!! Your style is unique compared to other people I have read stuff from. Many thanks for posting when you have the opportunity, Guess I will just book mark this web site. Hi there, just became aware of your blog through Google, and identified that it is actually informative. Iâ€™m gonna watch out for brussels. I will appreciate in case you continue this in future. Lots of folks will likely be benefited from your writing. Cheers! I¡¦ve learn several just right stuff here. Definitely value bookmarking for revisiting. I surprise how so much attempt you place to make such a excellent informative site. you are in point of fact a good webmaster. The site loading velocity is amazing. It seems that you are doing any distinctive trick. In addition, The contents are masterwork. you’ve done a wonderful activity in this subject!